Dozens of farmers, breeders, shepherds and artisans unite to attack the traditional market rules of agro-industry, to defend the free manufacturing, small-scale agriculture, the great knowledge and the flavours of the land. 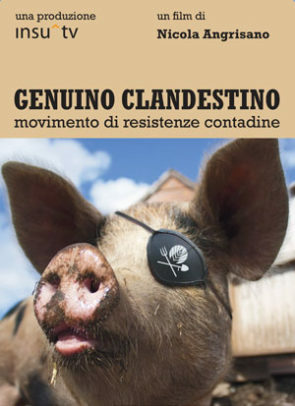 From this net comes the campaign “Genuino clandestine”, with women and men from everywhere in Italy aggregating in new forms of agricultural Resistance. While bureaucracy bans from the market many small producers, the consumer keeps being subjected to models of production totally inadequate to guarantee food quality. Through the work, the situations and the voices of the “clandestine” farmers, insu^tv narrates this campaign, simple in its message, but determined in its forms, along with the consequences of food democracy, economic develop, environmental protection and access to land.